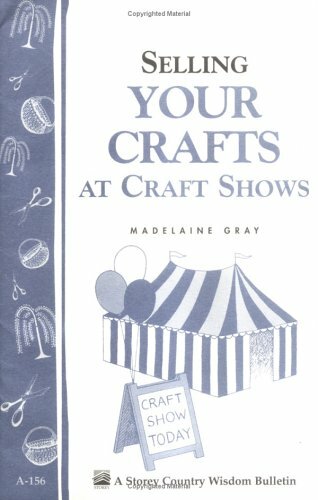 Children's Craft Books Are Listed At The Bottom Of This Page. Scarecrows are a true American folk art form that add charm and whimsy to any yard or garden. 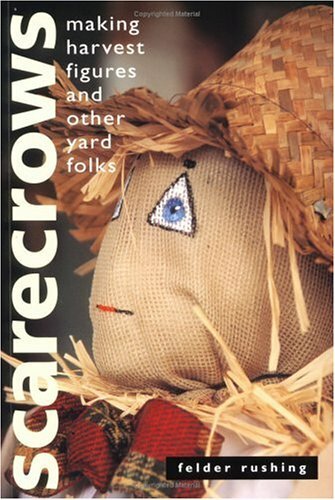 This is the only book to offer step-by-step instructions for creating scarecrows, from traditional to absolutely wild. Scarecrows includes more than 20 unique projects, plus tours through the gardens of North America's greatest scarecrow artists and tips for starting your own scarecrow festival. 112 pgs. Business of craft shows, are you ready to sell?, right show, at the show. 32 pgs. This book will show the reader the finishing touches to make equestrian clothing, for either fashion or competition. 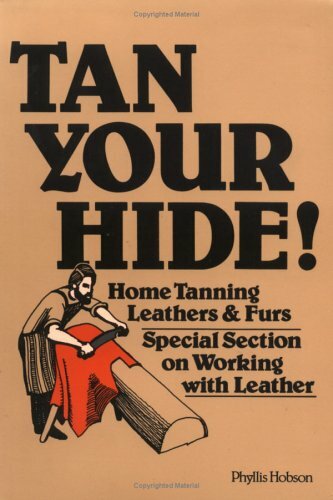 It covers coats of all kinds, riding pants, shirts, chaps and more. It does not provide patterns but tells the reader how to choose fabrics, get a good fit, and produce a garment that looks professional and is durable. Provides sources for patterns, fabrics, books, etc. Great for the person who wants "the equestrian look" but is on a budget. 30 Practical projects with step-by-step illustrated instructions. 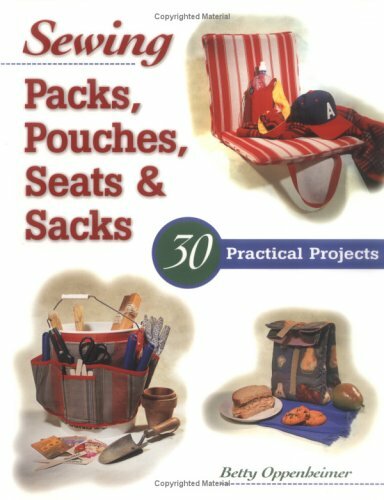 Hanging shoe rack, laundry bag, vegetable keeper, apron, saw blade holder, tool roll, carpenters apron, log tote, seed packet roll, bucket caddy, hammock, insulated lunch bag, hinged stadium seat, and more. 147 pgs. 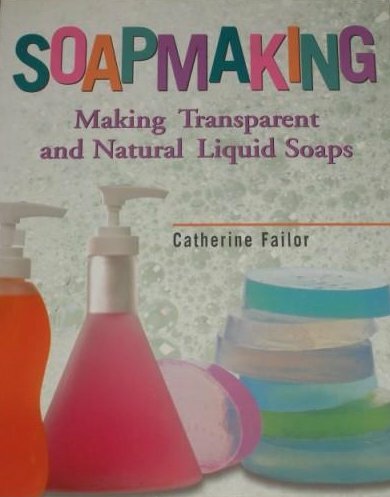 With full color photographs and easy-to-follow, step-by-step instructions, you'll find all the essentails you need to create unique transparent bar & liquid soaps. It doesn't require special equipment, complex methods, or expensive supplies; just a few basic kitchen tools; inexpensive soap bases, simple & pure ingredients (such as coca butter, lanolin & jojoba), and readily available colorants & fragrances. 234 pgs. A Magazine For Hand-Spinners - featuring different projects and techniques. Colors, materials, cutting the stencil, measuring, application. 32 pgs. Following the success of Bit by Bit, an unique and comprehensive book on bits and bitting, Miss Diana Tuke has now written its companion--Stitch by Stitch, covering the complex and fascinating subject of saddles and saddling. Again she takes her subject in great depth from its early beginning to the finished article, concluding with a chapter on saddle injuries and how to deal with them, written specially for the book by an eminent equine veterinary surgeon. 109 pgs. How to build or buy homes and accessories for dogs, cats and birds. B/W photos & illustrations. 115 pgs. 26 Original Patterns in hand-dyed & natural colored yarns. Also suitable for commercial yarns. The book profiles fiber artists and their farms. Color Pictures. 128 pgs. 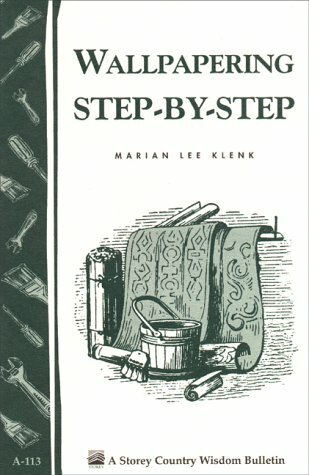 Tools & chemicals needed, how to selct the hide, steps for tanning, old time Infdian tanning methods, how to make your own dyes, qualities of leather, basic leatherworking techniques, where to find tools & supplies. Line drawings & B/W photos. 135 pgs. The craft of the thatcher probably gives more pleasure to people than any other of our rural crafts. Thatching is a craft most people know nothing about and which is commonly thought to be dying out. In fact, thatchers in all three materials - water reed, long straw and combed wheat reed - now have an assured livelihood after two centuries of uncertainty. 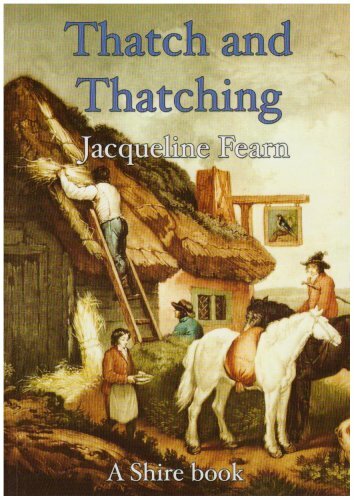 This book outlines the history of thatching in Britain from its use as the commonest form of roofing to the present day and explains how the thatcher works with his traditional materials. B/W & Color photos. 48 pgs. Patterns & instructions for 100 totes. Shopping totes, day totes, business & office totes, totes for children, home & garden totes, picnic & lunch totes, travel totes, rainproof totes, sewing totes, sport totes, duffels & sleeping bag carriers, evening totes, a gallery of unusual totes, the basic totes, & finishing (handles, pockets, binding, grommeting, lettering, graphics, decorating). B/W & color photos. 160 pgs. 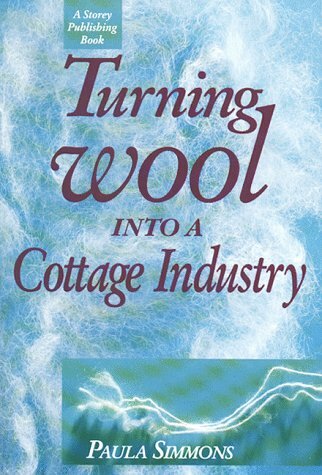 The complete, no-nonsense, up-to-date information source for anyone operating a wool business at home. Includes merchandising tips and descriptions of 18 successful entrepreneurs. 272 pgs. 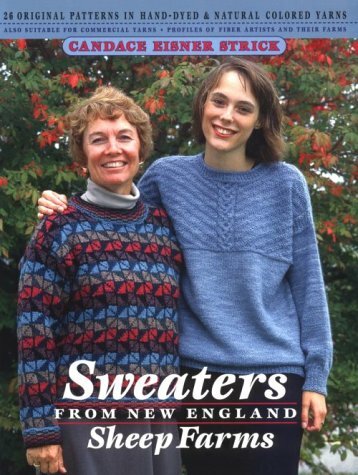 At long last, here's a book that will inspire beginners. Filled with photos to inspire creativity & hundreds of how-to illustrations to guide your fingers. 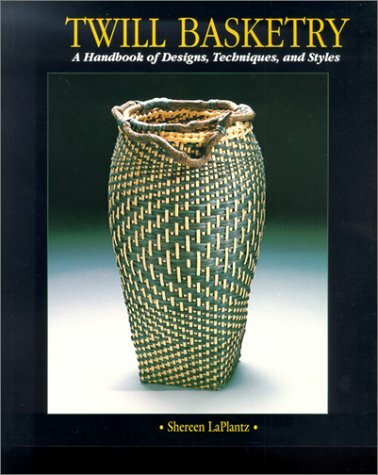 Thorough explanations of basic patterns such as diamonds, blocks, and linear twills are accompanied by tips on how to combine twills & create new patterns. You will learn about color concepts, interesting basket shapes & much more. 144 pgs. Step-by-step instructions for over 200 different knots, bends, hitches, loops, plaits & whippings. Facts about the history & origins of knots. A guide to the variety of cords and ropes, their beaking strenghts, construction & application. Each knot is clearly identified by category from angling to boating, caving to climbing, general purpose to outdoor pursuits. Over 1200 color photos show in detail each stage of tying every knot. 256 pgs. Timmins & Sons Tools Pattern Book, First published in 1845, this exquisite facsimile edition is from the Birmingham based firm of Timmins & Sons, over 150 engravings. Material, proper tools, how to measure & buy, preparing walls, hanging, etc. 32 pgs. Close to 20 knitwear designs featuring animals such as: giraffe, zebra, camel, koala, tiger, monkey, flamingo, tiger, koala, and elephant. Mostly sweaters for women and children but also a jacket, cardigan, sweatshirt and coat, with an interesting variety of yarns :mohair, chunky wool, cotton, alpaca and aran. Color illustrations. 96 pgs. 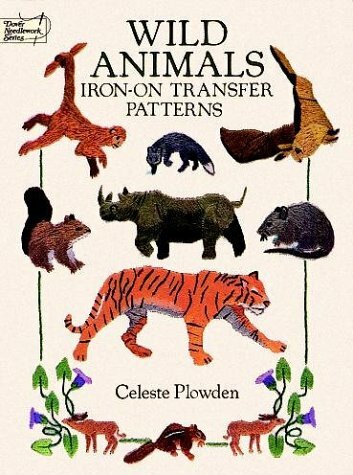 Collection of animal designs from around the world, with 38 cross stitch charts, 20 colour photographs and keys to thread colours. They can be made up into pictures for framing, cushion covers, chair seats and so on. 112 pgs. Treasury of 83 original motifs: vervet monkeys, giant panda, leopard, greater kudu, tiger, Indian elephant, black rhinoceros, zebra, giraffe, grizzly bear, moose and many more. 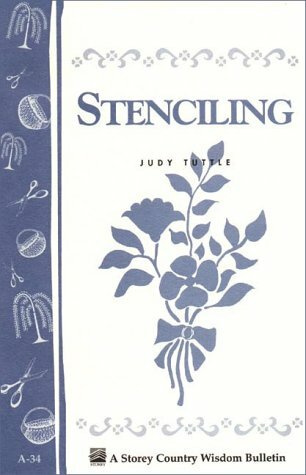 Ideal for crewel embroidery and other needlework techniques, fabric painting, wood burning and a host of other crafts. Printed in transfer ink on one side only. Simple instructions included. 48 pgs. 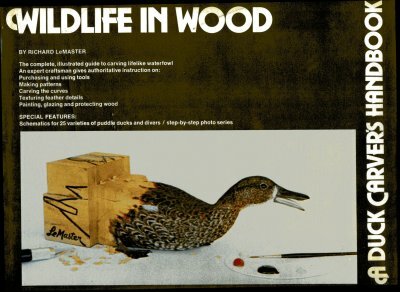 A complete illustrated guide to carving lifelike waterfowl. An expert craftsman gives authoritative instruction on: purchaisng & using tools, making patterns, carving the curves, texturing feather details, painting, glazing & protecting wood. The author provides a world of facts & guidelines for duck carvers including: hundreds of unique photos showing minute details of important features; basic duck anatomy for the layman; tips on training your eye & interpreting photographs; guidelines for understanding the fine details of feathers; directions for the proper use of tools & materials; information on recreating the duck's changable colors; & step-by-step photos for putting it all together. Features schematics for 25 varieties of puddle ducks & divers. 247 pgs. Christmas, the season for poetry, story and song to declare our wonder and our love of wildlife. Color photos. 159 pgs. 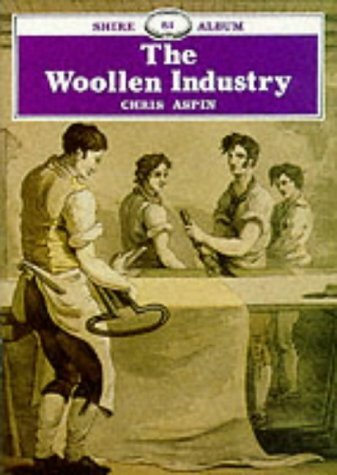 History of the woolen industry, how cloth is made, feltmaking. B/W photos & drawings. 32 pgs. 21 easy to knit Australian designs. Celebrate the holidays, decorate your entire home and create wondeful, fragrant gifts. Over 100 magnificent wreaths to make - and enjoy. Lots of color photos. 144 pgs.